We sometimes watch some movies in English in our classroom. Our teacher always chooses movies drawn from British or American novels... so we learn something about literature having fun! 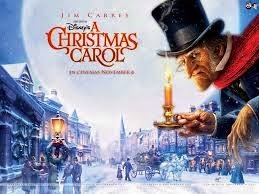 This year our class has seen two films in English: Christmas Carol and Alice in Wonderland. I have enjoyed them. 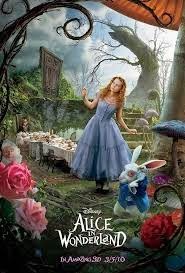 When I was little I thought Alice in Wonderland was only a film for girls, but it is fantastic. I hope next year we will see other films. The show was beutiful ,the actors were very very good .After the show we went in our classroom ,and we played,we asked the actors some questions and we had a lot of fun. Watching the movie "Alice in wonderland" in the original language, is a very positive experience for me , because i listen to the real actor's voices and so i can improve understanding of oral english Language. I LIKE ALICE IN WONDERLAND! .this is the film that reflects evry teenagers ,because it remembers theyr age of important choses. Of the two films seen I preferred " A Christmas Carol " because " Alice 's in Wonderland" I had already seen and because it already knew the story . My favorite character is Scroog because in his wickedness is the most interesting. Hello, it's Aurélie from France, I love this blog. I prefer the part of Alice. Me too I worked on Alice in wonderland. I read the book. It's an amazing job. Hello Aurelie! We are happy you like our blog, keep on leaving your comments! I'm keen on movies and I like Alice in Wonderland very much ! It's beautiful and it's a good job. Well done ! At school I study two foreing languages : english and french... what foreing languages do you study at your school ? Hello,I'm Aurora.Me and my class don't have lunch in the school canteen ,but I think that have lunch with own friends is an exciting and joyful experience.Do you have lunch in your school canteen?What do you eat in that?